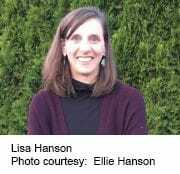 Lisa Hanson was first diagnosed with the leg swelling and fluid retention of lymphedema when she was just 17. But now, millions of people like Hanson may have a new treatment option. Researchers from Stanford University and other institutions conducted two new pilot studies, and report that ketoprofen, a common anti-inflammatory drug, significantly eases swelling and other skin damage from lymphedema. Lymphedema refers to painful fluid buildup in a limb, often after lymph node removal due to cancer treatment. The prescription medicine ketoprofen is a cousin to over-the-counter nonsteroidal anti-inflammatory drugs such as ibuprofen (Advil) and naproxen (Aleve), said lead author Dr. Stanley Rockson, director of Stanford’s Center for Lymphatic and Venous Disorders. Ketoprofen is approved by the U.S. Food and Drug Administration for “chronic forms of inflammation that need an aggressive approach” such as arthritis, he said. But using it for lymphedema — which affects about 3 million people in the United States — appears to alleviate the burdensome condition, according to the small new studies. Lymphedema often results after cancer surgery (most notably breast cancer), but it can also be due to infection or other trauma, according to background notes. Lymphedema has no cure. Current treatments include compression garments, electric pumps and massage therapy to move lymph fluid manually through tissues. Rockson said ketoprofen could be an important add-on to those treatments. “What’s dramatic for me, having worked with lymphedema patients now for 30 years, is that the traditional thought about lymphedema is it progresses from fluid accumulation to progressive, structural, irreversible damage,” Rockson said. “We’re gratified to see that these supposedly irreversible results are not irreversible,” he added. Rockson and his colleagues undertook a pair of small trials. First, 21 lymphedema patients took a 75-gram dose of ketoprofen by mouth three times a day for four months. The researchers performed skin biopsies at the start of the trial and again four months later to measure disease severity. Based on encouraging findings, the follow-up trial enrolled 34 lymphedema patients, with 16 receiving ketoprofen and 18 receiving a placebo drug. Ketoprofen recipients showed reduced skin thickness as well as improvements in other factors related to skin health and elasticity. She stressed that in her case at least, ketoprofen is “not a cure,” but it has produced a real improvement. Rockson said researchers also got the impression that patients treated with ketoprofen experienced a significant decrease in infections, though the studies didn’t specifically analyze that aspect. The drug works by blocking an inflammatory pathway in the body, he noted. Like other NSAIDs, side effects of ketoprofen can include gastrointestinal upset or bleeding. Lymphedema patients who’d like to consider taking ketoprofen should speak with their doctors and weigh their risk factors, Rockson said. “It’s certainly an option,” he said, adding he still hopes to tweak the drug’s structure to better suit lymphedema specifically in the future. “It will, for a majority of users, make lymphedema better and hopefully at least prevent progression. But there’s a list of adverse effects that need to be considered, so that needs to be an individual decision,” Rockson added. Several experts who treat patients with lymphedema praised the studies for potentially providing a new option for this group. “The lymphatic system is very complicated and there’s not a lot of research on how it functions,” said Lisa Marshall, director of oncology rehabilitation at the Graham Cancer Center and Research Institute at Christiana Care Health System in Newark, Del. “We don’t have a lot of options … as lymphedema patients get to the chronic state. So the fact that there’s now a drug that could enhance our outcomes that we could use as an [addition] to our treatments is very exciting,” added Marshall, who played no role in the new research. Dr. Shubhada Dhage is director of breast surgical services at NYU Winthrop Hospital in Mineola, N.Y., and also wasn’t involved with the new studies. She said she was “highly optimistic” about the results, though small numbers of patients were tested. The studies were published Oct. 18 in the journal JCI Insight. The U.S. National Cancer Institute offers more on lymphedema treatment.